Konami have confirmed this year's PES World Finals will be hosted in Dubai from September 26th-28th. Coinciding with the GAMES13 Expo - the Middle East's largest video game show at the Dubai Convention and Exhibition Centre - 38 of the world's best PES 2013 players will head to the United Arab Emirates in two months' time to compete in the world's most prestigious Pro Evolution Soccer tournament. Once the event has finished, the ultimate champion will take home a whopping €10,000 with the runner-up receiving a handy €5,000. With Spain's Pau 'PaUU24' Lara looking to defend his title, European PES Team Leader Jon Murphy shared his excitement ahead of September's huge event. "The PES World Finals are the culmination of a year’s worth of intense PES 2013 tournaments, and see the very best players gathered to compete for the grand title. The event has grown in stature with each passing year, and we are delighted to be hosting the 2013 event in Dubai – a key area for us as we look to expand the horizons of the PES series. We expect a taut competition and a true showcase of skill. 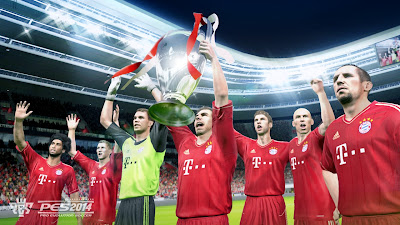 PES is a game that demands practice, and it is with good reason that these 38 top-level players will have earned the right to stake a claim as the very best." I'd like to take this opportunity to wish all finalists - from Europe, Japan, the Americas and the Middle East - the very best of luck for the competition.